Northern Ireland’s Senior Coroner John Leckey has been informed that four former Special Branch officers have now been placed in charge of preparing top secret materials relating to the controversial RUC killing of six unarmed men in Co Armagh nearly 30 years ago. 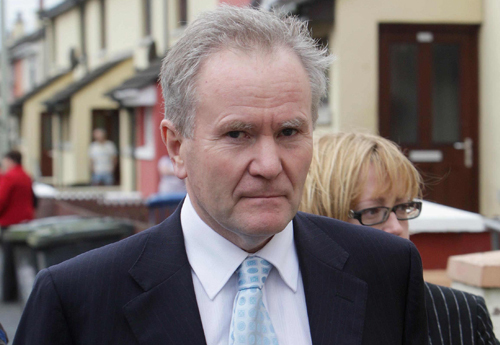 Mr Leckey is currently preparing to open inquests into the RUC killings of six unarmed men in 1982. Gervaise McKerr, Sean Burns, Eugene Toman, Seamus Grew, Roddy Carroll and 17 year-old Michael Tighe were shot dead by the RUC’s elite Special Support Unit (SSU) in a series of controversial shootings in Co Armagh during a three week period in 1982. 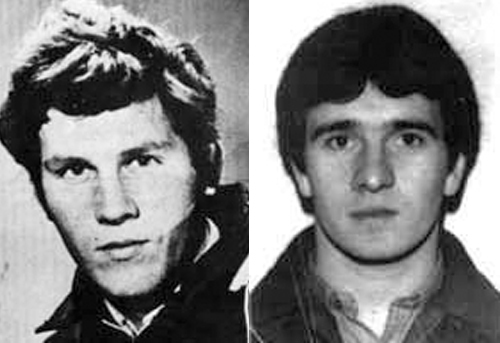 All but Michael Tighe were members of paramilitary organisations; however none were armed at the time they were shot. The killings caused controversy after it emerged that the RUC officers involved deliberately lied to cover-up the true circumstances surrounding the shootings. It later emerged that the policemen who carried out the killings were debriefed by superiors in Special Branch and instructed to give false accounts of events. The inquests into the six killings have become the longest of their kind in British legal history, with repeated delays and the British government issuing a series of Public Immunity Certificates (PIIs) to prevent the families’ legal teams from gaining access to sensitive evidence in the case. A key part of that evidence relates to a report by then Greater Manchester Deputy Chief Constable John Stalker, who was called in to investigate the shootings in 1984. Mr Stalker’s report has never been made public after he was dramatically removed from the investigation in June 1986, shortly before it was due to be made public. He was suspended from duty on charges of associating with a Manchester criminal, but two months later was cleared of any wrongdoing. However he was not allowed to return to Northern Ireland to complete his investigation, which was taken over by another English detective, Colin Sampson. However a book written by Stalker in 1988 was highly critical of the role played by Special Branch and senior RUC officers in the orchestrated cover-up. On Thursday the Detail revealed a former RUC officer’s admission that he and other members of the Special Support Unit (SSU), had been instructed by superiors and Special Branch, to cover-up the true facts surrounding the shooting of Seamus Grew and Roddy Carroll. In 2007 Senior Coroner John Leckey was granted permission to read the Stalker/Samson reports. A key proviso in allowing the coroner access to the report was that sensitive information would be redacted by the PSNI from the report before it was allowed to be seen by legal teams representing the victims’ families. In May 2012 Mr Leckey asked the Crown Solicitor’s Office (CSO) to provide the families’ legal team with an explanation of how the reading and redacting process is carried out by the PSNI, setting out whether any personnel involved in the process have Special Branch experience, and if so the extent of that experience. “Five personnel, together with a lawyer, are engaged on the preparation of the materials in this matter. In the past the PSNI has defended re-employing former police officers to prepare information for Troubles-related cases on the grounds of their previous experience. PSNI barrister Tony McGleenan QC, told a preliminary hearing into the case yesterday that it was up to the Chief Constable to appoint whoever he saw fit to oversee the redaction of the Stalker/Sampson files. However legal observers have expressed concern that the involvement of Special Branch at the formative stage of disclosure in the cases could raise concerns that the perception of independence of the inquests may be seen to be tainted. What does anonymity ruling mean for undercover police?